Faculty of Law has been admitting foreign students from many countriesfor LL.B., M.C.L. and Ph.D. programmes. There are 5% supernumerary seats for foreign nationals in LL.B. ; 10 seats in Master of Comparative Law meant only for foreign nationals; and 10% of the Ph.D. may be foreign nationals. All foreign nationals are exempt from Entrance Test and interview for admission to any of these courses. The minimum eligibility criteria for them is the same as that prescribed for Indian nationals. Many foreign nationals come for a semester also to study only a limited number of courses as per the course requirement of their country. Foreign Students’ Registry is the single window for all the foreign nationals who wish to seek admission in University of Delhi in different programmes. For more details, see, (http://fsr.du.ac.in/). Foreign nationals seeking admission in LL.B., M.C.L. and Ph.D. programmes are exempt from entrance test. Foreign nationals fulfilling the eligibility criteria may be registered for Ph.D. over and above the maximumadmissible strength. However at any given time, the total number of foreign students shall not exceed 10% of the total admissible strength of the department. Foreign nationals must provide evidence of English language competence if they wish to join Faculty of Law for any course. Foreign nationals are exempted from entrance test and interview for admission to Ph.D. Programmes. They may be admitted based on their research proposal, subject to fulfilling the minimum eligibility criteria. The decision regarding the same rests with the Department Research Committee (DRC) subject to approval from Boardof Research Studies (BRS) for the Ph.D. Programme. Foreign student alumni of Faculty of Law are holding very high positions including judges of the Supreme Court, High Commissions, and other national level institutions of their country. University of Delhi has one International Students’ House for Men (ISH) and one International Students’ Hostel for Women (ISHW). 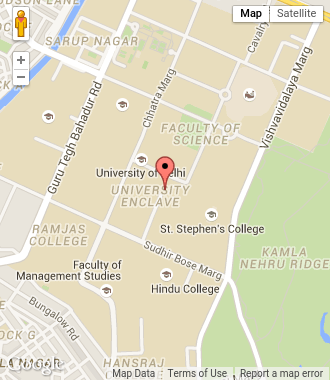 In addition, University of Delhi has 18 hostels for post graduate and research students. Few seats are reserved for foreign students in each of these hostels. The seats in the hostel are allocated according to the merit. However, all students may not get a hostel seat due to heavy demand.